How Much do You Know About Your Commercial Security Company? So while you are comparing the companies who are going to be protecting the valuable assets of your commercial space and company with their security alarm monitoring system, CCTV video system, card access system, or some combination of these types of security systems, it is important to get an understanding of the qualifications and backgrounds of the people coming into your business, and how often they screen their employees – or if they do it at all! It is good practise to ensure that the people you hire to install your commercial security system, and the company they work for are Members of the Canadian Security Association (CANASA). As a CANASA member, they will be required to adhere to a code of ethics, and keep minimum levels of insurance. As well, ULC-listed companies are required to have personnel who are reputable to be working on your system. Ask to ensure that the people working on your commercial property have had their criminal records investigated. It is your right to know who is doing work on your facility, particularly when we’re talking about something as important as security alarm systems or CCTV video systems. At FMC, we are CANASA members and are ULC-listed. We require ALL employees, including those who may not work ‘directly’ on your commercial security alarm monitoring system and in our ULC-listed, five Diamond Certified Monitoring Station, to have yearly background checks performed. We feel that it is our duty to prove to you that our employees are reliable, trustworthy and have the Integrity we feel is required in the security alarm monitoring industry. To further this point, in 2016, FMC will apply to become a Canadian Accredited Security Contractor (CASC), of which there are few in Canada. When choosing an commercial security company, among the myriad of thing you need to consider, trustworthiness is among the most important. 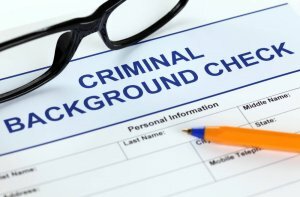 Ensure that the commercial security installer you choose has done the proper due diligence on their own employees by asking for criminal background checks on anyone who may work on your file, including those who may work on your system on a day-to-day basis in the monitoring station. It’s not enough to assume that this is being done, make sure you ask. If you have any questions about the processes at FMC, our commitment to your safety or wish to speak with one of our team, please Contact Us.